The Specialty of orthotists is studying the human biomechanics, including the foot as well as whole body posture and mechanical changes when we are standing and walking. In foreign countries, orthotists are even called “musculoskeletal engineers”. 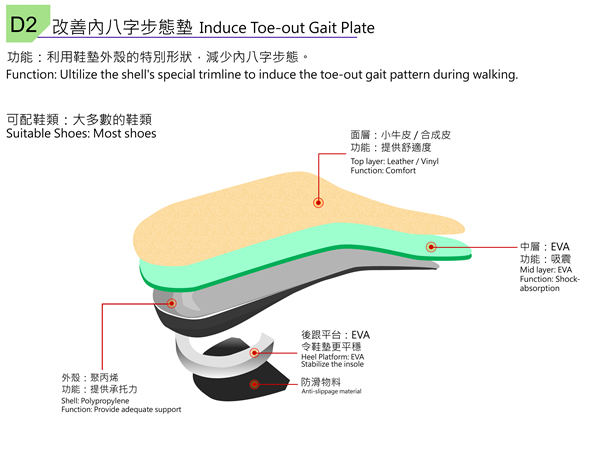 Strictly speaking, custom-made orthotic insoles are the aid to improve human walking mechanics, and orthotists are experts in the design and evaluation of this auxiliary tool function. The foot-spine orthotists in our center have studied foot orthopedic courses at the College of Ophthalmology at Oklahoma State University. He has more than 10 years of experience in customized insoles clinical experience which has solved or relieved the foot suffering for thousands of people. 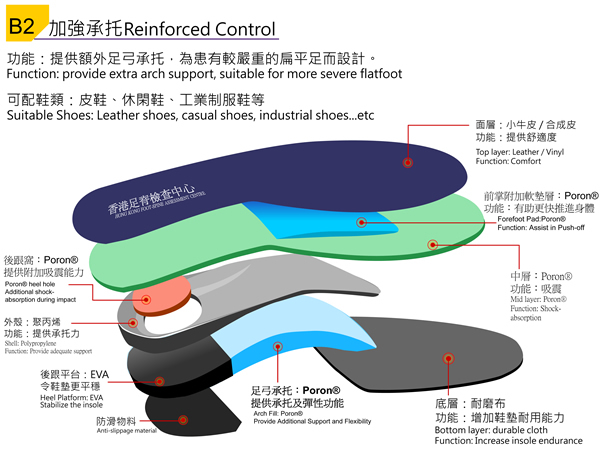 Our orthotists design, research and development of a variety of custom-made orthotic insoles, and introduce the high-quality insoles material from Europe and the United States, ensure that the vast majority of patients can be based on their daily wear purposes and footwear, also have a suitable orthotic insoles. 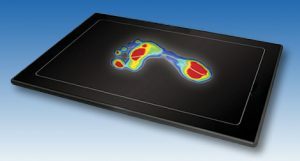 Computer foot check system – the center has a different computer measurement system, choose the most appropriate and accurate way test for different people, but also facilitate future follow-up for comparison purposes. One year free follow-up service – our center is minority institutions that can provide one year of customized orthotic insoles follow up service. Our orthotists want to ensure that every client is made up of our custom-made insoles and get help. Foot Dynamic Pressure Analysis – Record the distribution of the plantar pressure at the time of walking, it is helpful to analyze the stress and posture deviation of the foot and make the appropriate treatment. In addition to assessing the most suitable insoles design, orthotist also have the responsibility to teach footers how to choose the right footwear, and targeted care and so on. A pair of well-designed orthotic insoles should be effective in improve the posture of walking, running and jumping, also reduce joint abnormalities due to foot shape deviations (e.g. flat feet). 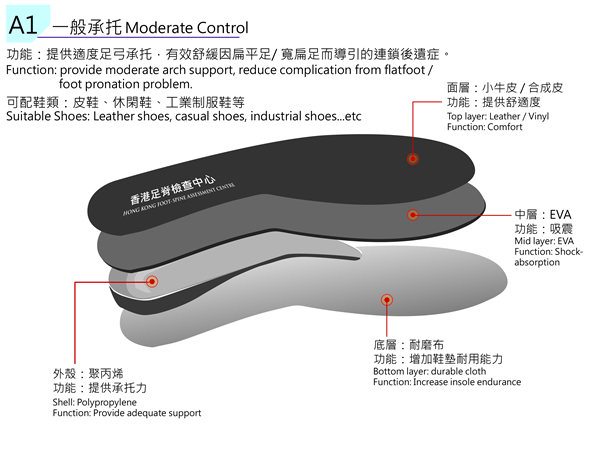 However, how perfect design the insoles have, the insoles can only be made “passive” control on the foot structure. For a comprehensive foot structure improvements, “active” control should be join which is foot muscle strength exercise. Therefore, our center in addition to orthotists recommend some foot exercise, there are registered physiotherapists for more in-depth guidance, the purpose is provide more effective foot care services for patients. 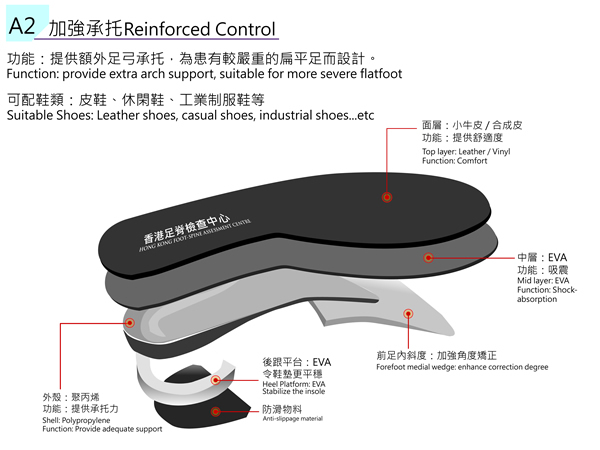 Orthotist accordance with the function of the insole to choose different way to lift the mold. 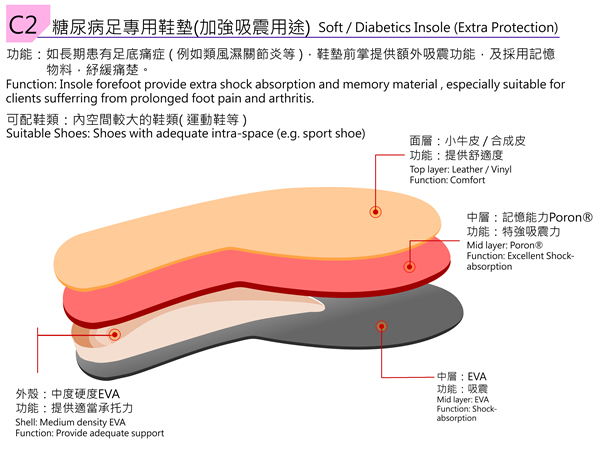 For the purpose of decompression: Use the foam materials, so that the foot can be “total contact” with the insoles, it is helpful to reduce the plantar heavy pressure area. 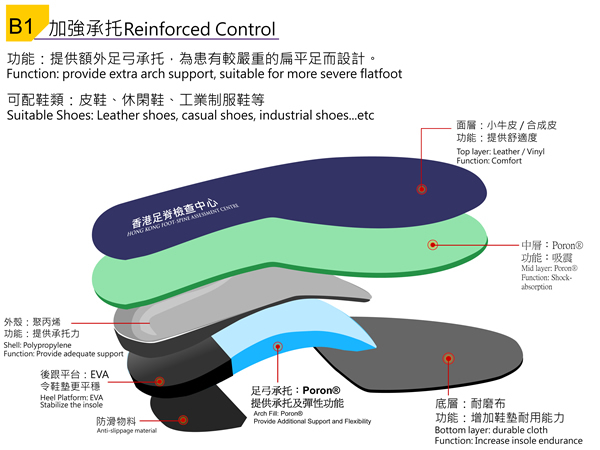 The technicians of insole production center based on requirements to create high-quality insoles. Suggested that bring with the shoes which put in the insole, facilitate to make more effective functional assessment. Regular follow-up is a very important part. 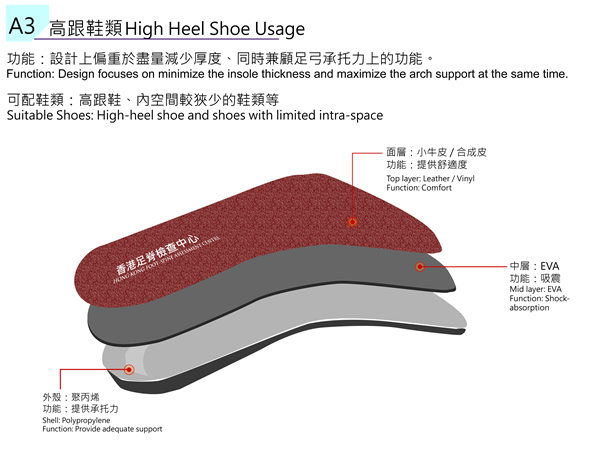 Insoles will be loss, and the function of the insole is wearing a period of time to exert. Regular follow-up (recommended every 4-6 months) assess the functional and foot situation of the orthotic insoles regularly, ensure that every patient is effective in obtaining insoles to help. Using a relatively rigid shell material, to maintain adequate support. Suitable for normal joint movement or relatively soft flat feet or over-pronated feet, and need to be placed in the limited intra-space within the footwear. Adopt the flexible materials, provide additional support and shock-absorbing function for lower limbs joints to effectively ease the strong shock movement. 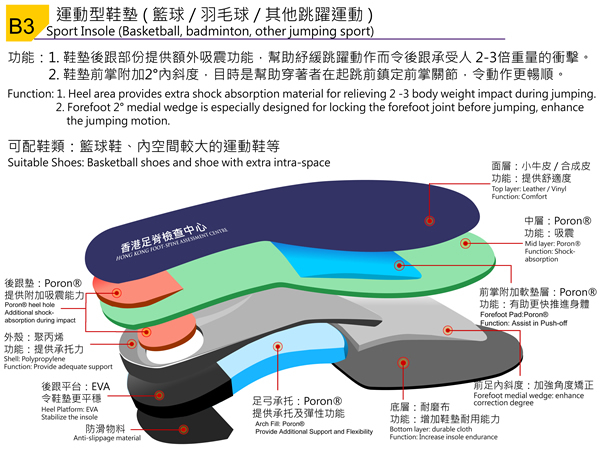 Suitable for running or jumping, such as playing basketball, badminton and so on. 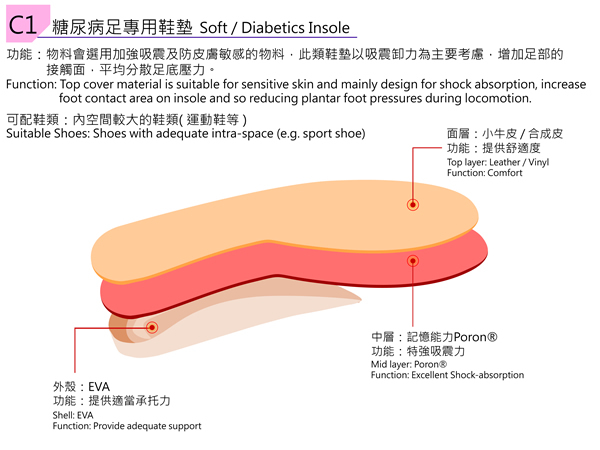 The surface layer use the memory materials, the materials will become the shape of the wearer foot shape, in order to achieve total contact effect, scattered foot pressure, and provide adequate protection. Applicable to people with diabetes, limited mobility or plantar foot pain. Shell design is relatively high, mainly wrapped foot heel bone, strengthen the control of the foot shape, and assist the joint growth normally. 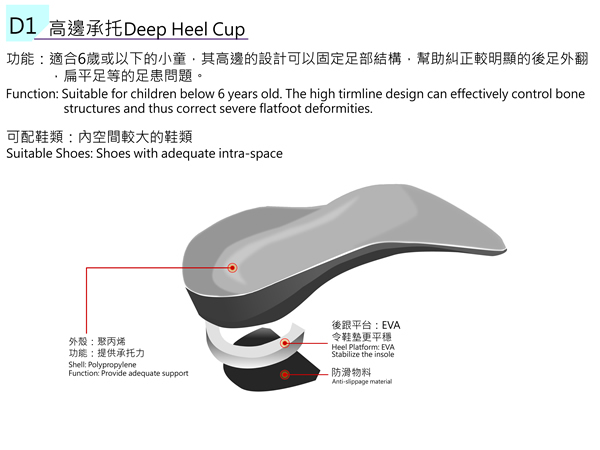 Applicable to the child foot growth stage, plus heel valgus and flatfeet is serious situation. 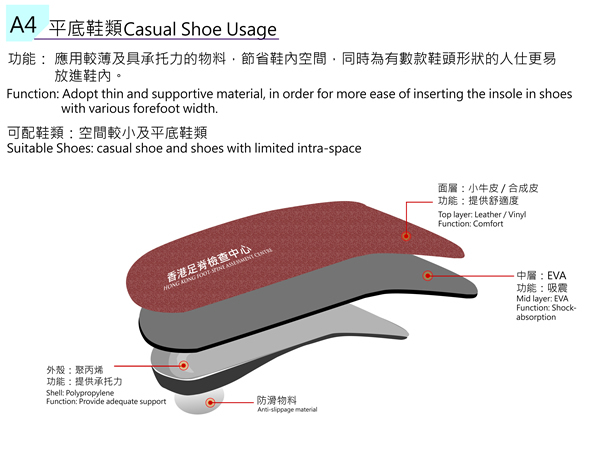 When can I obtain the custom-made insole? It takes about 10 working days from the lift foot mold to insole fitting. Do the children wear the custom-made insoles to correct flat feet? Flat feet is a phenomenon involving the joints, muscles, bones and other factors lead to morphological deviation. 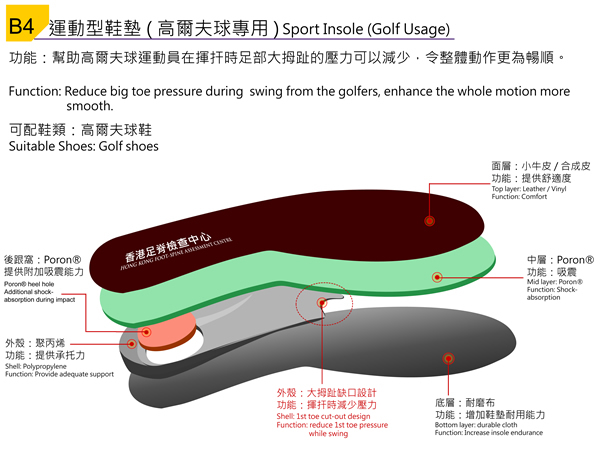 The purpose of the children to wear the insoles is to prevent the deterioration of the foot shape, while the exercise, wearing the appropriate shoes can also help control the flat feet. What are the characteristics of your service? We use the low temperature thermoplastic for foot-casting. Compared with the benefits of traditional plaster bandages, including: the process is faster, it will not stain the foot, also can take the foot mold accurately. We focus on each follow-up of our customer. We will advise customers make appointment every 4-6 months to follow up and check the wearing of the insole, ensure that each pair of custom-made insoles still play their function. Plus, any follow-up service is free of charge. What are the professional qualifications of the orthotist? The orthotist of our center has the qualifications of the prosthetics and orthopedics department of the Hong Kong Polytechnic University and has studied the orthopedic course in the United States. He has many years of clinical experience of foot-spine orthopedics, and often hosts about foot and spine nursing lectures to educate the community.